Faction Bloc | Fact Sheet | Faction Inc.
Click the image above to view/download/print the PDF file. 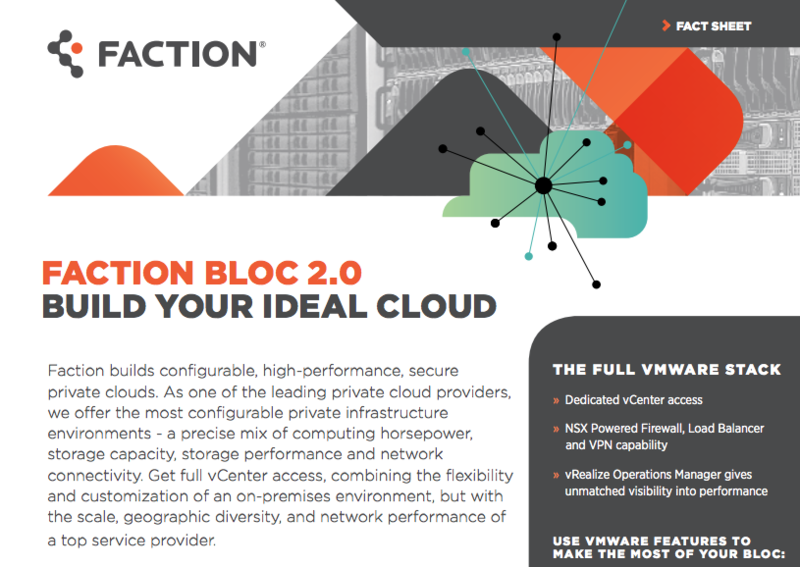 Faction builds configurable, high-performance, secure private clouds. As one of the leading private cloud providers, we offer the most configurable private infrastructure environments – a precise mix of computing horsepower, storage capacity, storage performance and network connectivity. Get full vCenter access, combining the flexibility and customization of an on-premises environment, but with the scale, geographic diversity, and network performance of a top service provider.